Thank-you for choosing our meats! We have found that many of our customers are keen to learn more about meat cuts and how best to cook these cuts! The Australian Beef & Lamb Cuts Guide provides some information on how particular cuts are best used. A Practical Guide to Cooking Australian Beef & Lamb is a great guide on many aspects of cooking meat, including the best way to roast, stirfry, and casserole your meat. 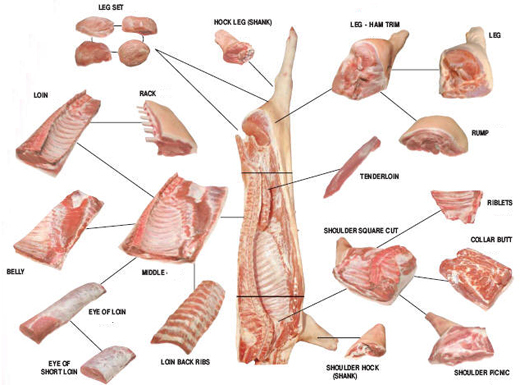 The following diagrams show the cuts from each animal and what part of the animal they come from.